WordPress is a free and open source content management system based on PHP and MySQL. 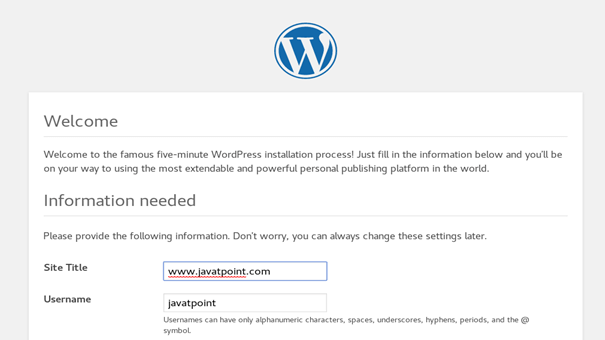 We must install WordPress on a web server in order to develop and test web-based applications. As of January, 2018, WordPress was used by 29.3 % of among the top 10 million Websites. WordPress was released on May 27, 2003 by its founders Matt Mullenweg and Mike Little. It was released under GPLv2 license. 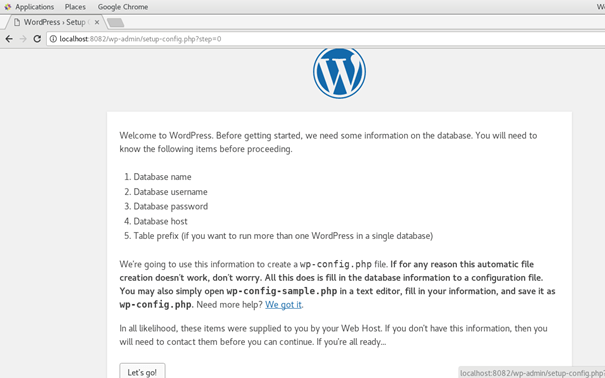 In this tutorial, we will install WordPress on CentOS. LAMP must be configured on the system. Use the following command to get WordPress compressed file at the location /var/www/html. Use the following command to extract the downloaded file. 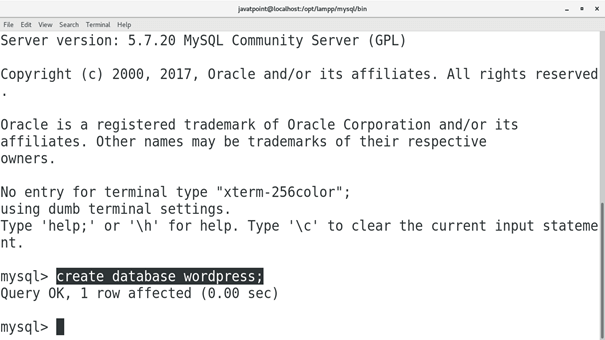 Login to the MySQL command shell and create a database to be used by WordPress. Use the following query for this purpose. 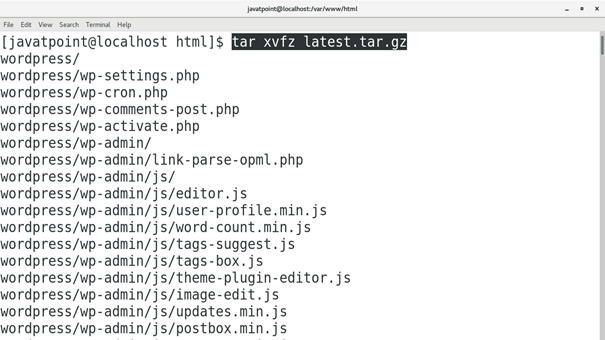 Change the working directory to the WordPress Directory and execute the following command to start the PHP development server. 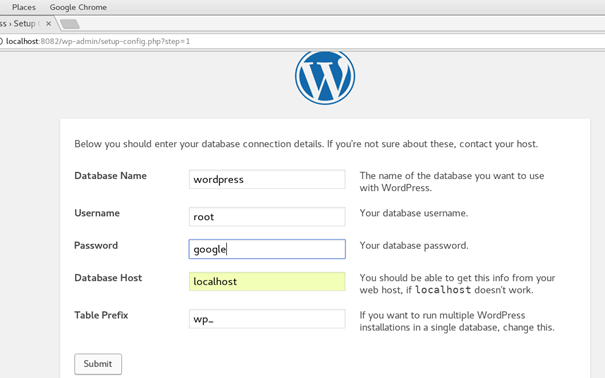 Just type localhost:8082 to access WordPress on the browser. This will start the installation process on the system. Just click on Let's go! To proceed. 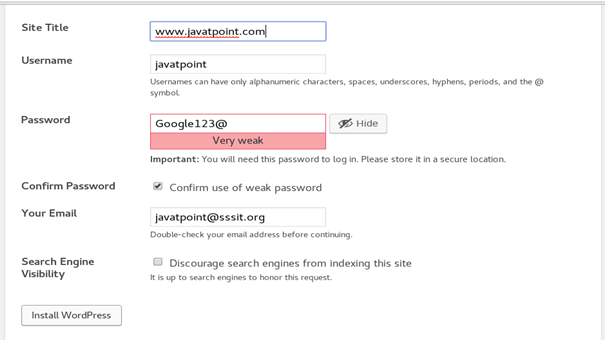 Enter the database credentials (in my case the username is root and password is google) and click Submit. Click on Run the installation to start the installation process. This part of the installation involves the configuration of our website. 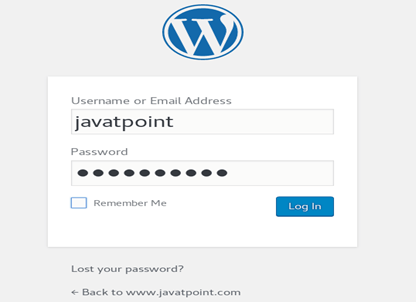 Simply enter the website details such as Title, Username, Password and Email, click install WordPress. 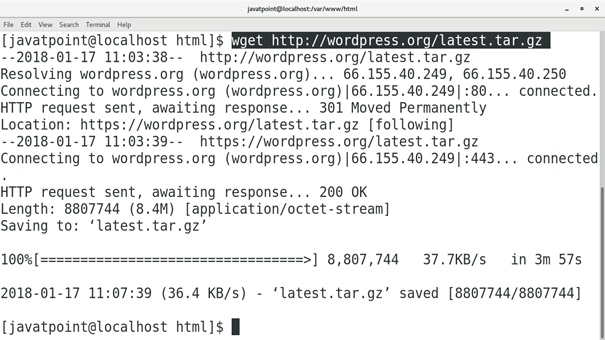 Finally, we got WordPress installed on our CentOS. Click login to get ourself logged into our website. We just need to enter the username and password, press Enter. 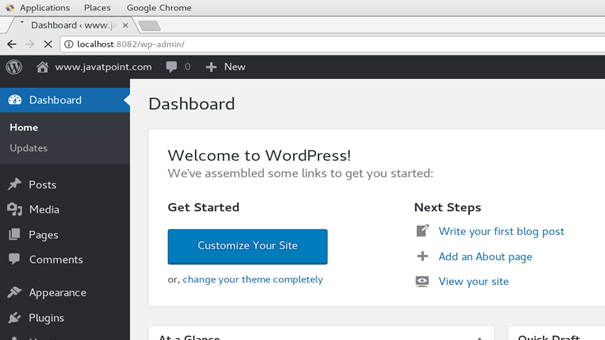 Hence, we have installed and get started with WordPress. Now, we can customize and manage our website.